Check out exclusive renderings of the Crane’s Mill Health Center. 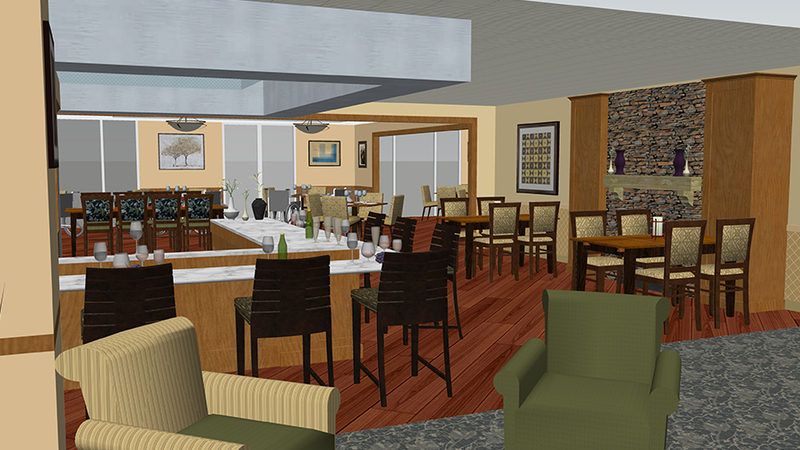 The Crane’s Mill Health Center’s new environment takes senior healthcare in northern New Jersey to a whole new level. 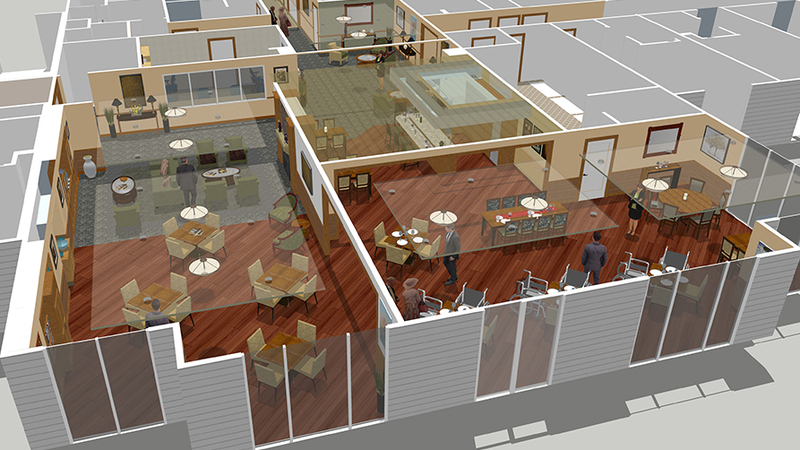 We are excited to share these renderings which preview just some of the changes coming to our community’s health center. 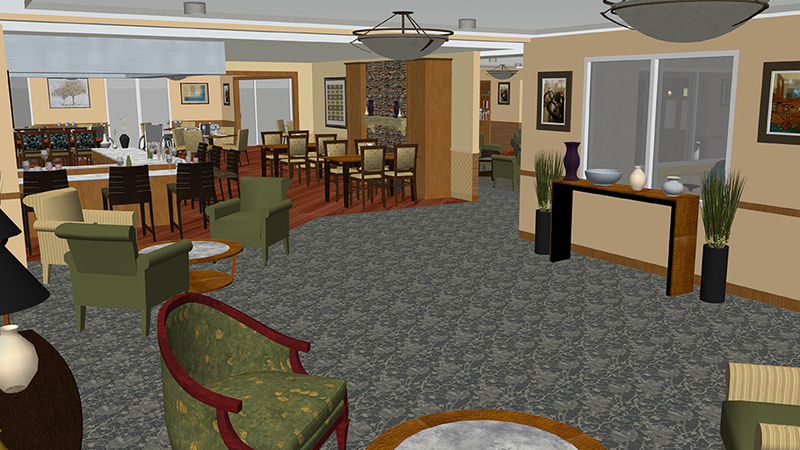 Renovations include complete overhauls of our skilled nursing common areas and resident rooms. 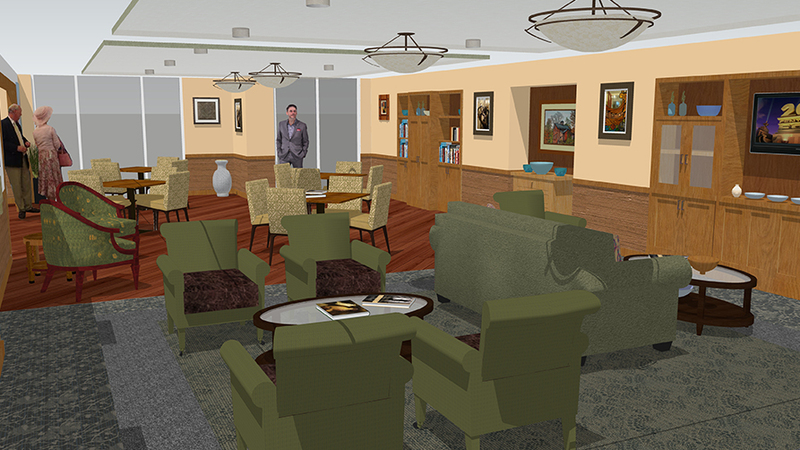 Newly renovated dining areas feature an array of modern finishes; activities areas offer the latest in technology; and the rehabilitation room is bright, spacious, and state-of-the-art. Sub-acute rehabilitation rooms are all private, replete with brand-new furnishings and luxurious, spa-like full bathrooms. Long-term residents enjoy completely renovated rooms, common areas, and finishes that are akin to an upscale resort. Enjoy this sneak peek below, and check back soon for updates! Dining rooms combine modern touches with comfort and accessibility. Shared areas provide residents and guests plenty of space to visit. An overview of the area's plan. Upscale finishes are found throughout. Long known for exceptional care and specialized staff, the Crane’s Mill Health Center offers assisted living, skilled nursing, rehabilitation, and memory support. To learn more, please visit our contact page.